Enhance your personal security and privacy without compromising productivity! 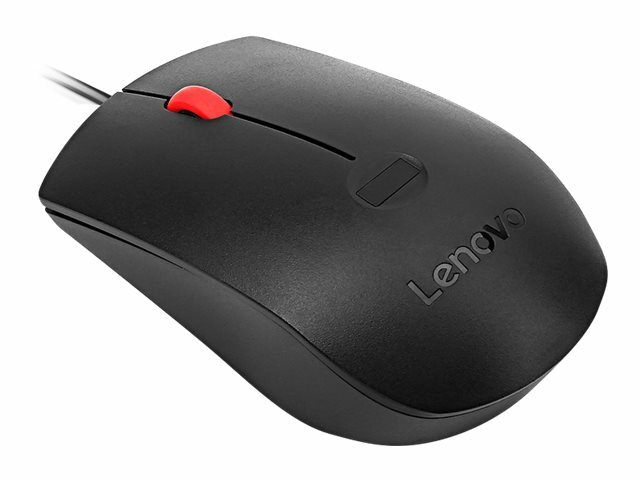 The Lenovo Fingerprint Biometric USB Mouse offers superb input functionality with an integrated fingerprint sensor for password-free authentication. It features 1600 dpi resolution with an optical sensor for precise tracking and an ambidextrous design for more fluid control and ergonomics. Log-in to Windows instantaneously with one-touch biometric verification. Working seamlessly with Microsoft Windows Hello, the Lenovo Fingerprint Biometric USB Mouse delivers solid protection against intrusion with 256-bit encryption and industry-leading performance for secure identification. Have a hassle-free experience and enhanced security with Lenovo Fingerprint Biometric USB Mouse.